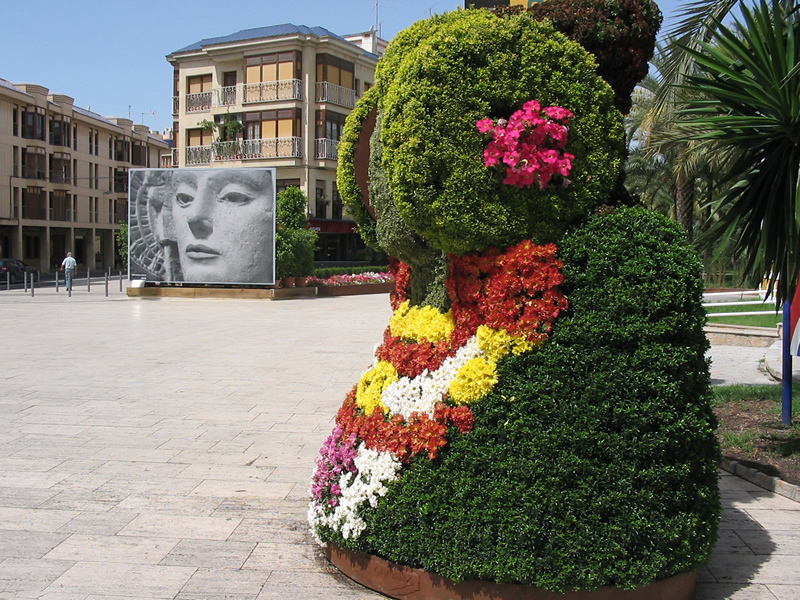 Elche is one of the most important district in Costa Blanca, just 12KM from Airport. 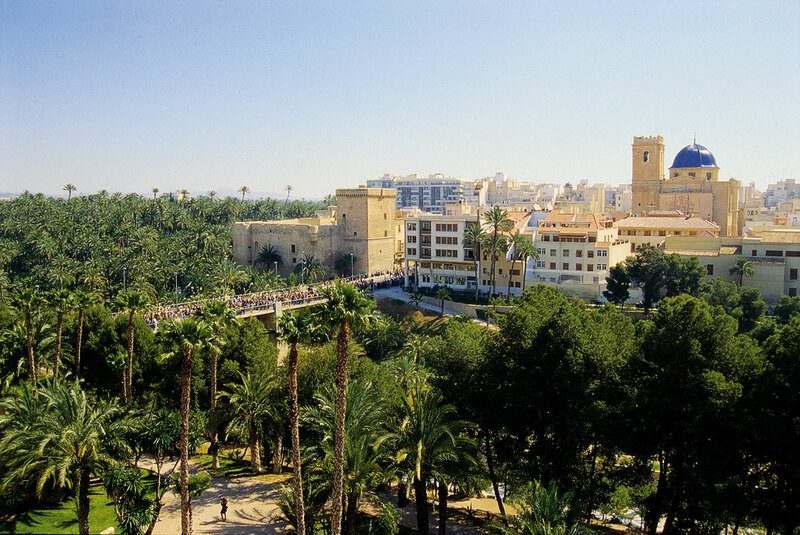 Over 230.000 population, Elche is a combination an old and up to date modern monuments around the city. 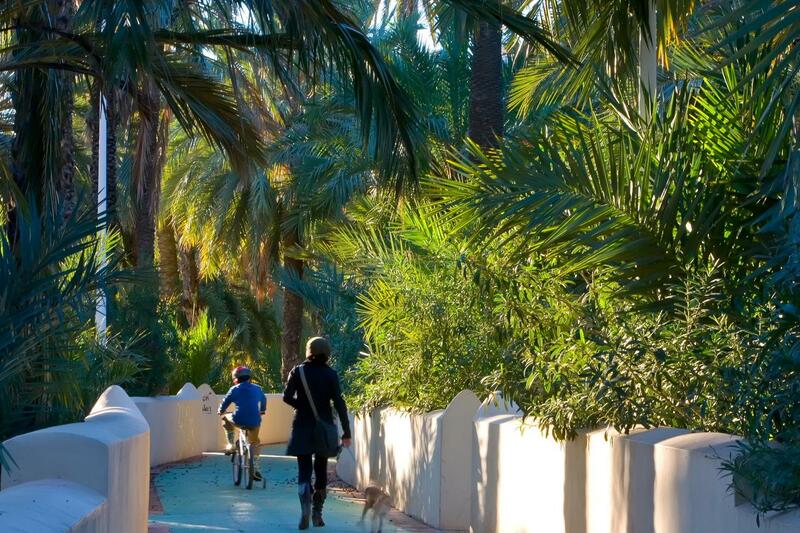 Elche is famous in the city for its Grand Palm Grove, World Heritage Site recognized by UNESCO in the year 2000. Considered “Mediterranean Oasis” is the largest in Europe. The grand Palm Grove has got 200,000 palm trees inherited of four centuries by Arabic culture and the white palms as it became the symbol of the city. There in Elche you can find traces of Islamic and Roman culture such as Church of Santa Maria, the Alcazar de la Señoría, the tower de la Calahorra, the Huerto del Cura (botanic garden), the arabic toilets and more things. You can also enjoy the nature that surrounds the city namely El Fondo, the Clot de Galvany and the Pantano. Or visit famous beaches of Elche El Altet, Los Arenales del Sol, La Marina, El Pinet, El Carabassi and El Rebollo. On the other hand, you can to visit the Shoes Outlet Route provides an unrefusable proposal for shopping at unbeatable prices. The regular opening hours of the shops are from 10.00 to 14.00 and from 16.00 to 20.00 Monday to Friday, and Saturdays from 10.00 to 14.00.